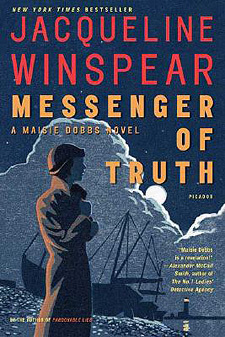 You know me, I love me some Maisie Dobbs. So, of course I jumped at the chance to read (or in my case re-read) one of her earlier works for the TLC Book Tours Month of Maisie Readalong - how could I not join in on the fun? Plus, next month I'll be posting a review of the newest book in the series, In This Grave Hour - talk about EXCITING!! Messenger of Truth centers on art. Or in this case the death of an artist. Nick BH has died and his sister, Georgina BH, is convinced he was murdered. The police do not believe foul play was involved so they do not dissuade her from hiring Dobbs to look into Nick's death. You see, the police are working with some higher ups on a much more important case and need to get GBH out of their hair. Dobbs decides to take on the case and along with her faithful assistant, Billy, sets out to uncover the truth behind Nick's early demise. Along the way, she comes across a smuggling ring, breaks up with her boyfriend Dene, and suffers a devastating loss. 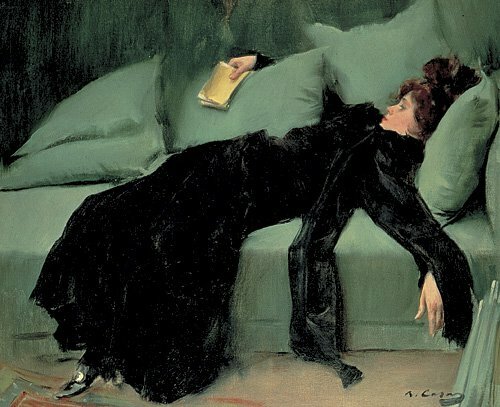 Talk about a book chock full of melodrama! I loved reuniting with Maisie and her gang - its always such a treat. As usual she solves the case, but this time the reveal is not so neat and tidy. Seems that Nick's family has some skeletons in its closets. Oh, and did I mention that a painting is the key to the murder. Yep, art can definitely kill. Or at least in this case, it can incite people into such a rage that they can't control their actions. As for the other story lines, the only one that truly grabbed me was that of Billy and his family. Yes, little Lizzie Beale succumbs to death after falling ill. I didn't understand why Billy didn't ask Maisie for help sooner or why Maisie didn't insist on visiting the sick child. It frustrated me and saddened me. Especially with all the talk about the rich versus the poor that this case had opened up. I wanted Maisie to stop talking and do something instead - HELP LIZZIE! Ack! I teared up reading about her passing - it broke my heart. Reading this series, I always hate how much bad luck seems to fall upon the Beale family. It just doesn't seem fair. Of course, that is life, right? All in all, Messenger of Truth was a fantastic re-read. Winspear always writes a strong, engaging, and unputdownable story - this book attests to that fact. I would definitely recommend this book to fans of the series and fans of sleuth novels - you will LOVE this book!! I'm behind on this series but looking forward to getting caught up - there's so much about Maisie that I still want to know! Heather, I know what you mean - its such a great series to get addicted to :) Thanks for having me on the tour - I just love these books so much! I do always love to jump into some Maisie!